Karen A. Fuhrman has her M.A. from NYU in choreography and specializes in both ground and aerial dance. She has performed with Pilobolus, seen with 2007 Oscars Award Show, Ellen Degeneres, Good Morning America, and twice on the Conan O’ Brian show. Other credits include Cavalia of Cirque du Soleil, De La Guarda, and MOMIX. She has also danced for the VH1/Vogue Fashion Awards, MTV, PBS, ABC, and SHOWTIME. She has toured and taught aerial and dance in extensive venues throughout the world. She is also a dance professor at De Sales University. Karen A. Fuhrman performs perspective-shifting inversions. 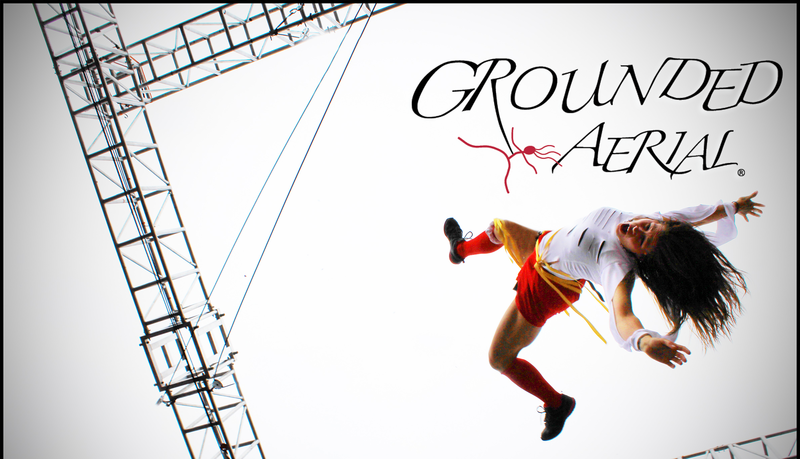 Grounded Aerial® has appeared at Yerba Buena’s Art Festival (San Francisco), Microsoft’s worldwide Vista and Office Logo launch, benefits in Lake Tahoe, Limelight night club (NYC), Company y Company (Barcelona, Spain), Bidvest International Awards Ceremony (Johannesburg, South Africa), Skirball Theater (NYC opening for Neil Diamond), Baila! (National Palace of Culture in Guatemala City), Spiderman II release party, Usher (NYC Gala), Madeski, Martin, and Wood Concert (Hammerstein Ballroom, NYC), the Kimmel Center in Philadelphia, the ESPY awards for ESPN, the Lincoln Center NYC, America’s Got Talent, Beach House music video, Studio 54, Lagos, Nigeria cooperate event, Sleep No More, and debuted an aerial moment on Broadway with the hit musical Matilda. Ms. Fuhrman wrote, directed and produced an aerial play, Insectinside. The theatrical spectacle premiered in San Francisco, Philadelphia, and Park Slope Brooklyn. Grounded was in Guatemala City flying, drumming, and dancing for a crowd of 10,000 people for the World Cup. We have held workshops in Boulder, Colorado for the International Aerial Dance Festival and numerous additional workshops throughout the east coast. Ms. Fuhrman has given aerial and choreographic direction for an off-Broadway show entitled Red Flamboyant. Her choreography was featured on NBC’s primetime show, “I Can Do That!” She conceptualized a 35-minute aerial play, performed on the side of a 22-strory building, for the Rochester Fringe Festival. 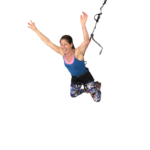 She goes to Halifax annually to teach aerial dance workshops at the Halifax Circus Center and customizing specialized flying apparatuses for the movement impaired. And just returned from touring in Sao Paulo and Salvador, Brazil with Grounded Bungee classes and performances.